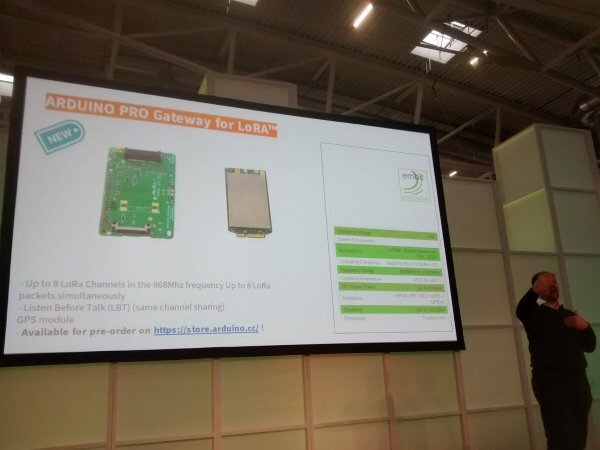 Massimo Banzi, co-founder of Arduino, introduced the new Arduino approach to reducing the complexity of building a LoRA network. Connect a MKR WAN 1300 board to the gateway and load data to the cloud is the promise. To be precise, you can pre-order the kit now, with availability expected at the start of 2019. The 868 MHz (Europe) version can be pre-ordered from the Arduino Store. It’s priced at €350.00 (for the Gateway itself, not including an IoT node). 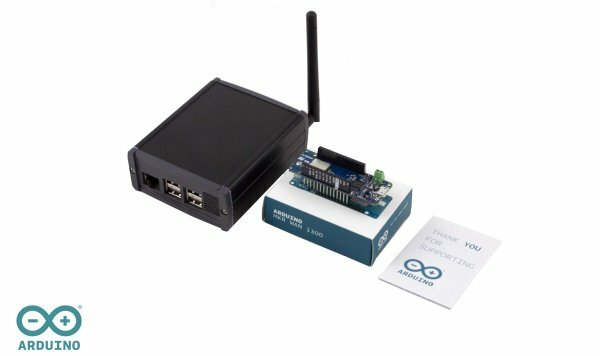 Used in conjunction with Arduino MKR WAN 1300 IoT nodes it provides a way of enabling remote monitoring applications. Examples cited included smart agriculture, smart cities and building automation. Basically, use cases requiring long range and low power wireless connectivity. 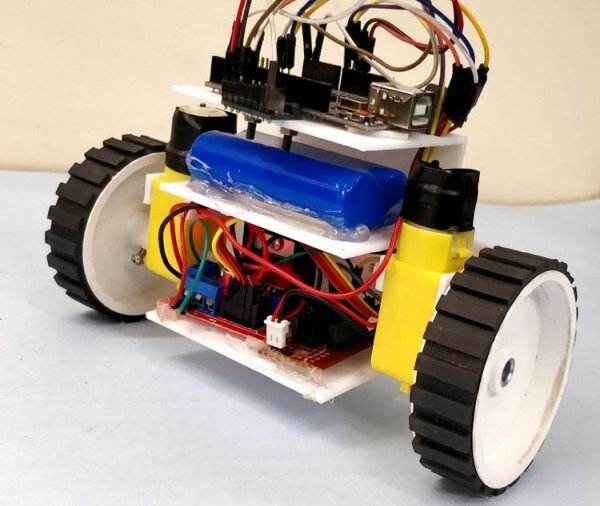 It’s aimed at Edge computing supporting both ARM (BeagleBone and Raspberry Pi, for example) and Intel architectures, said Banzi. It seems to follow a Bluetooth profile-like model whereby you could connect any device to an Arduino board by defining standard ‘properties’ of functionality, editing code to support their use. The example given was a “temperature sensor” which, once defined, would enable you to read and upload the particular (temperature) value. If you are developing for Arduino you are certainly not alone. In his talk, Banzi outlined the current size of the Arduino community, in its widest sense. More than 27 million users worldwide access the website arduino.cc, 685K people have contributed to their forum and there have been 13 million downloads of the IDE.